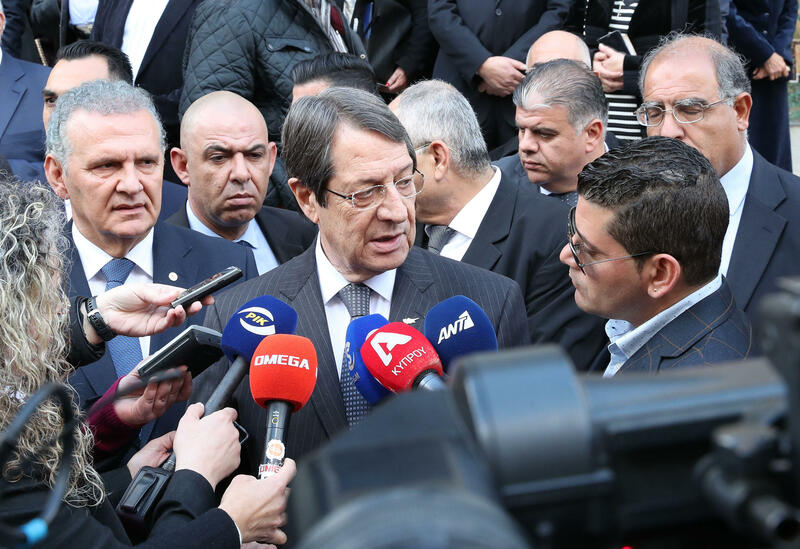 If the Turkish Cypriot leader, by “political equality” he means a positive vote for every decision of the central government or any other institutional structure, then this is not political equality but it creates political inequality, the President of the Republic Mr Nicos Anastasiades said today. In his remarks to reporters, after a mass for the celebration of St Maroun’s Day, in Nicosia, when invited to comment on an interview by the leader of the Turkish Cypriot community, in the newspaper “Politis,” in which he puts the issue of political equality before the issue of guarantees is considered, the President said that “it depends on what one means by ‘political equality’. We have recognized political equality decades ago. Replying to a question on whether he intends to raise the issue concerning his thoughts about the decentralization of powers during his upcoming meeting with the Turkish Cypriot leader, the President said that “the principle of decentralization by itself, says it all. From then on it is a matter of dialogue in order to mutually agree what is allocated to the (constituent) states.